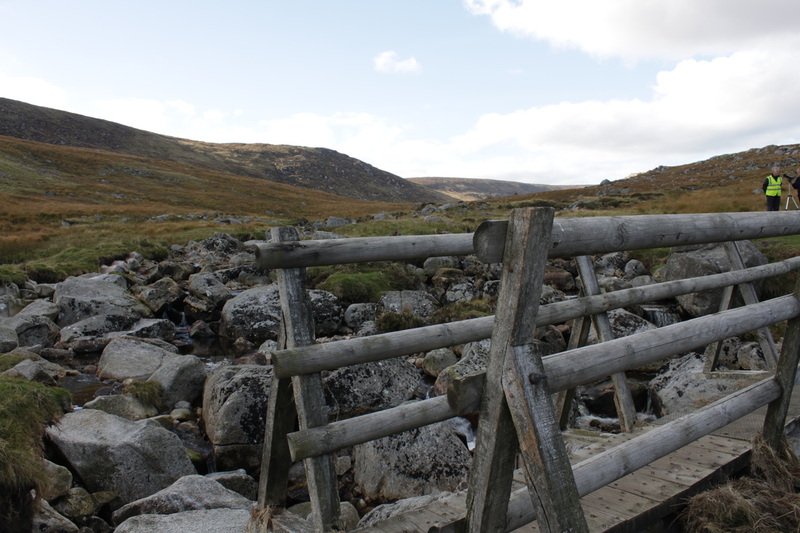 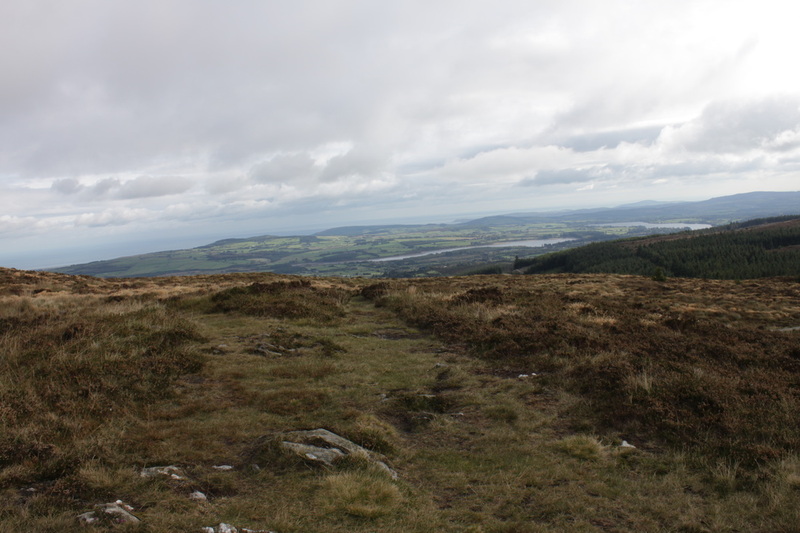 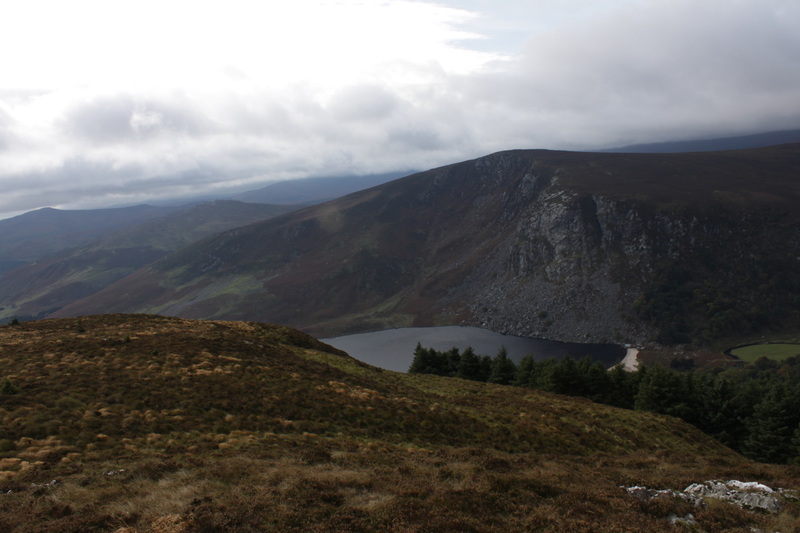 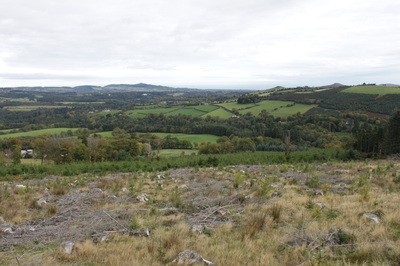 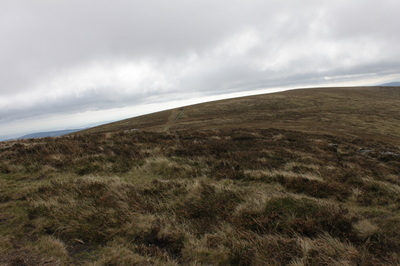 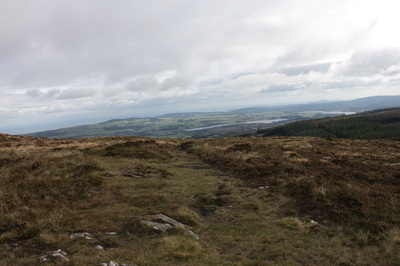 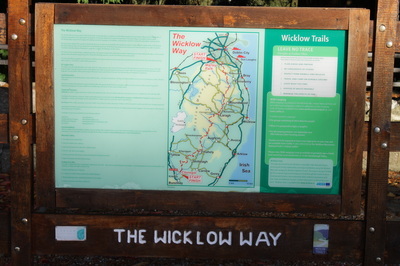 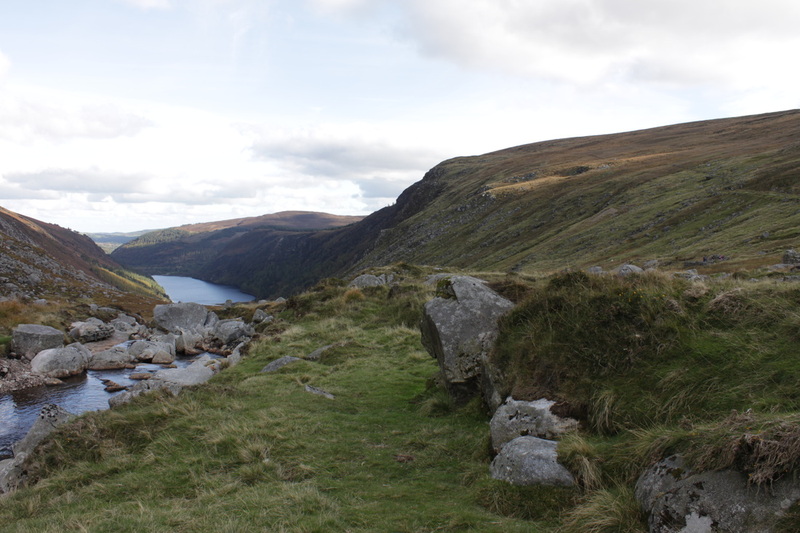 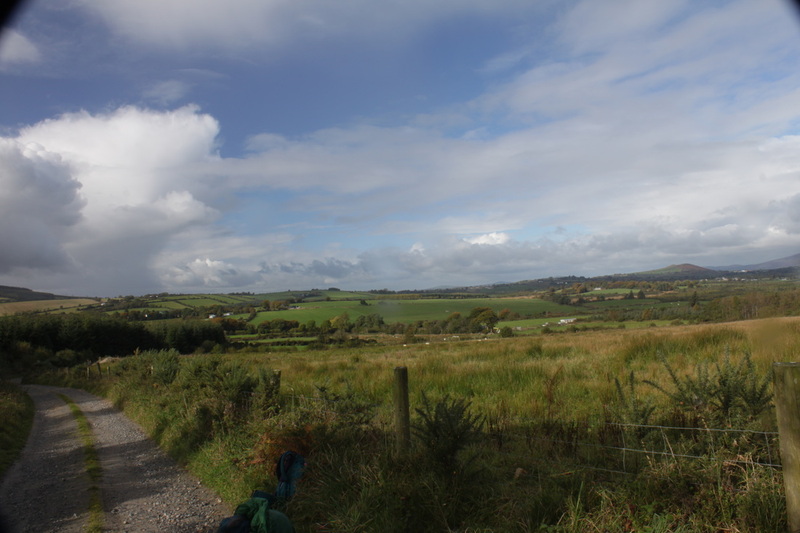 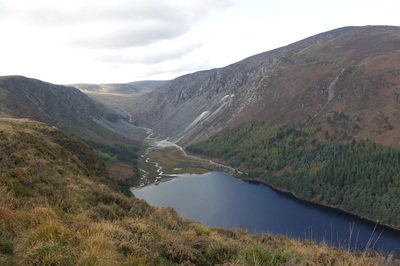 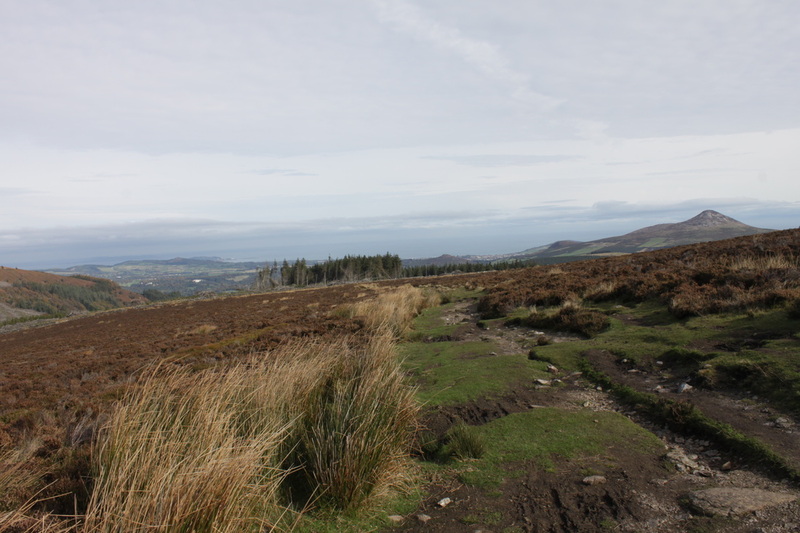 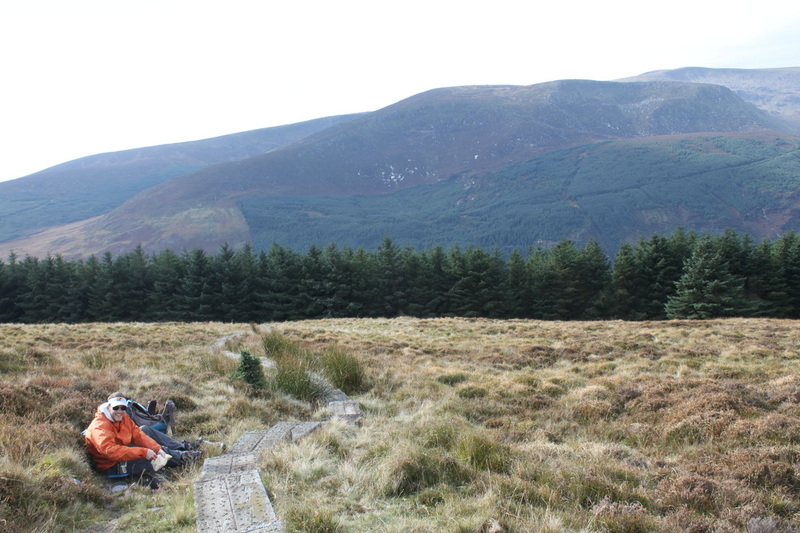 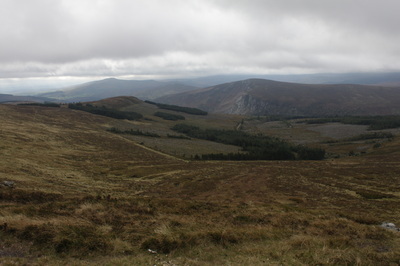 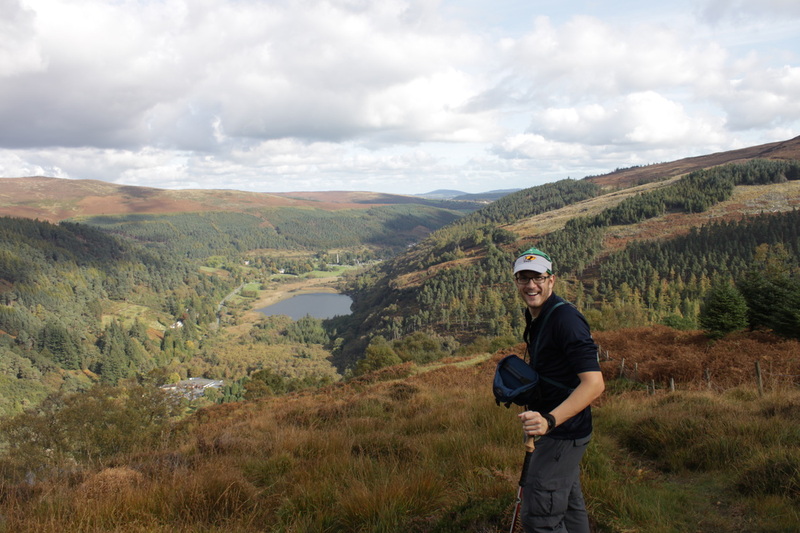 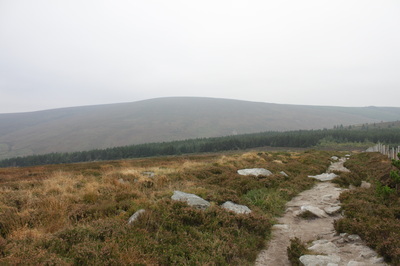 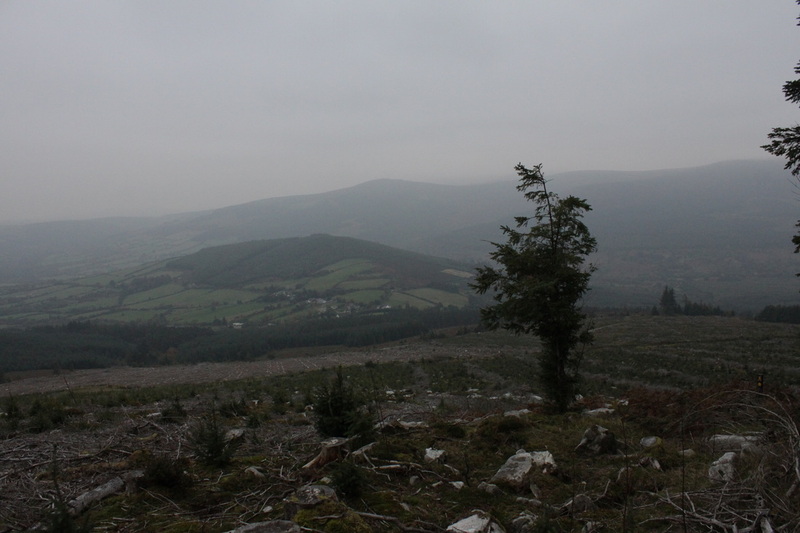 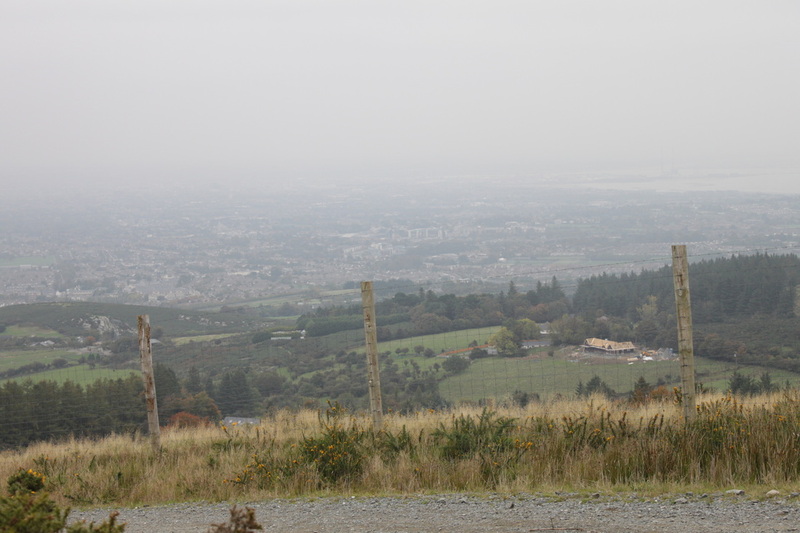 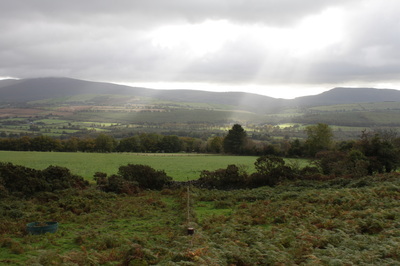 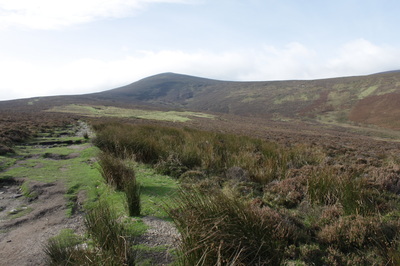 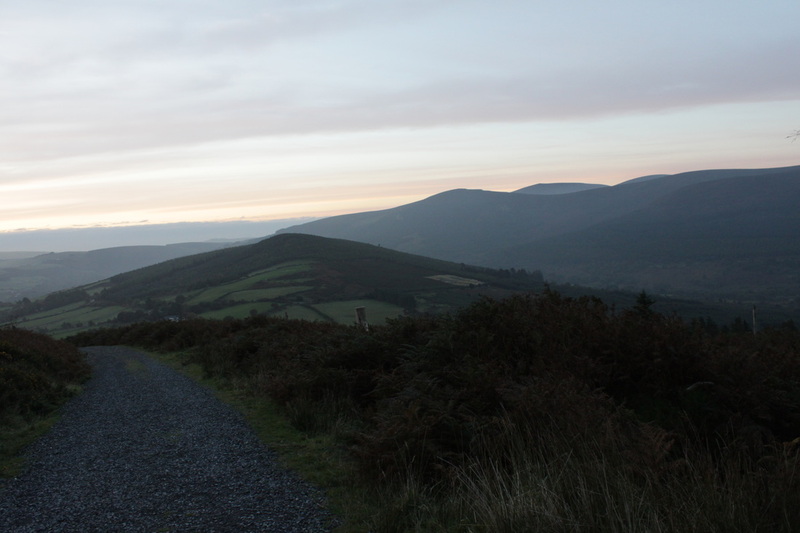 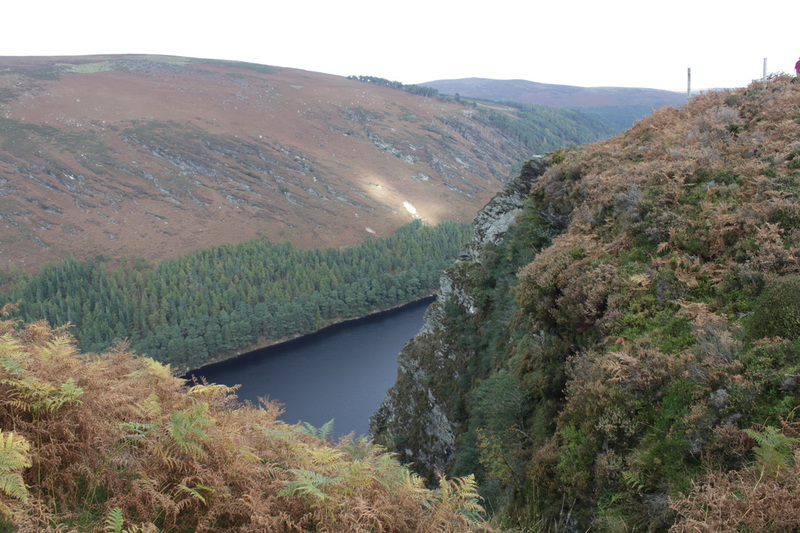 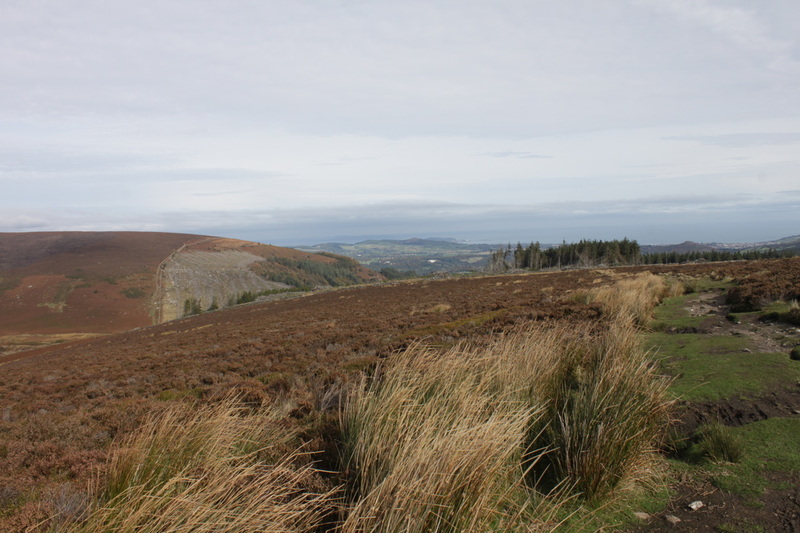 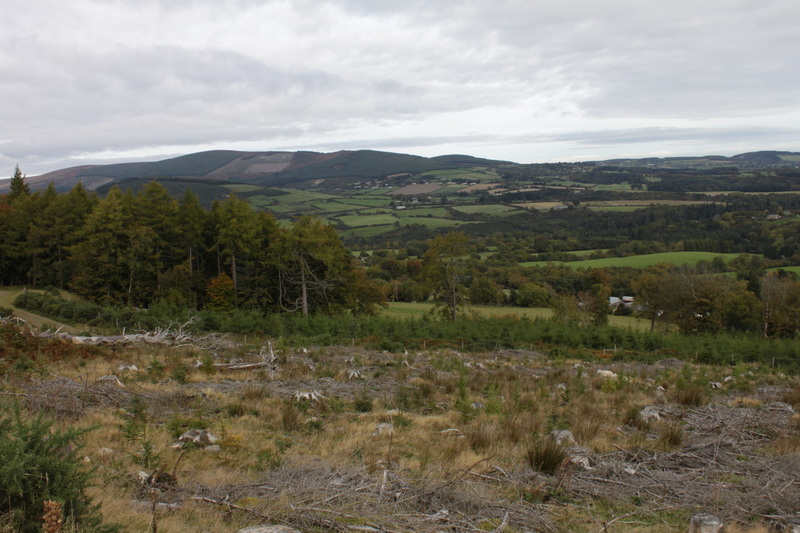 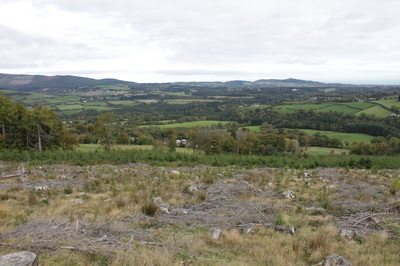 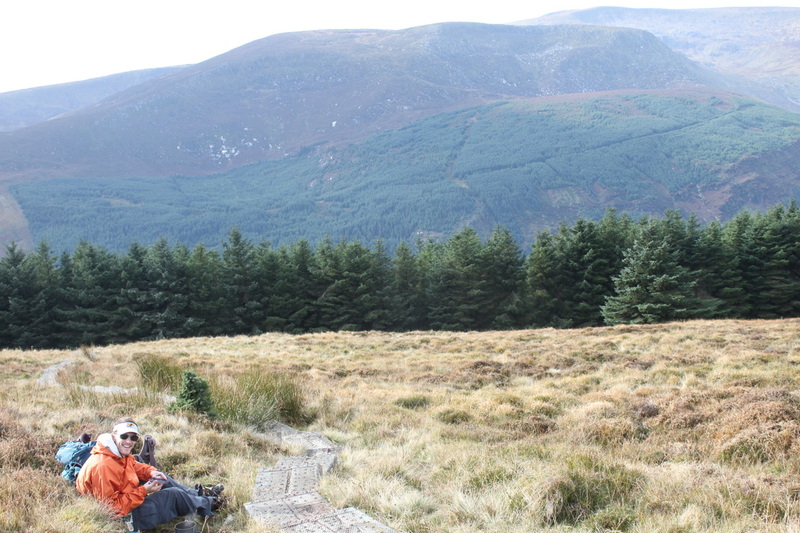 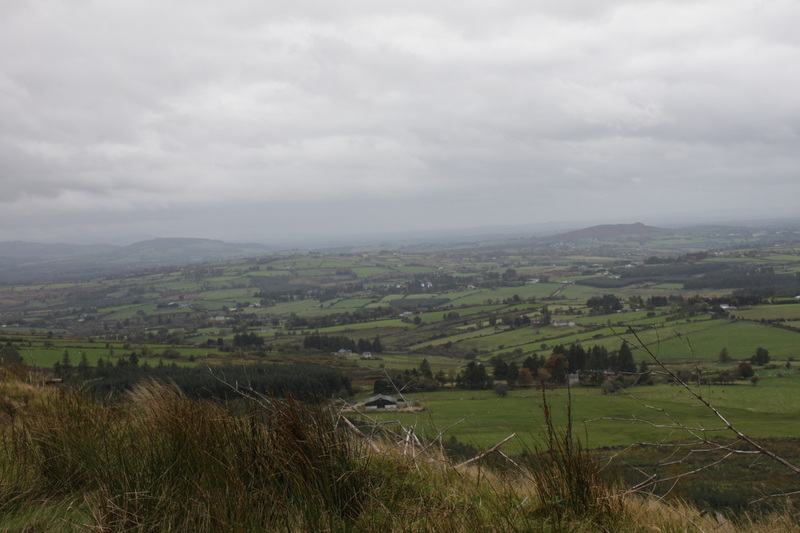 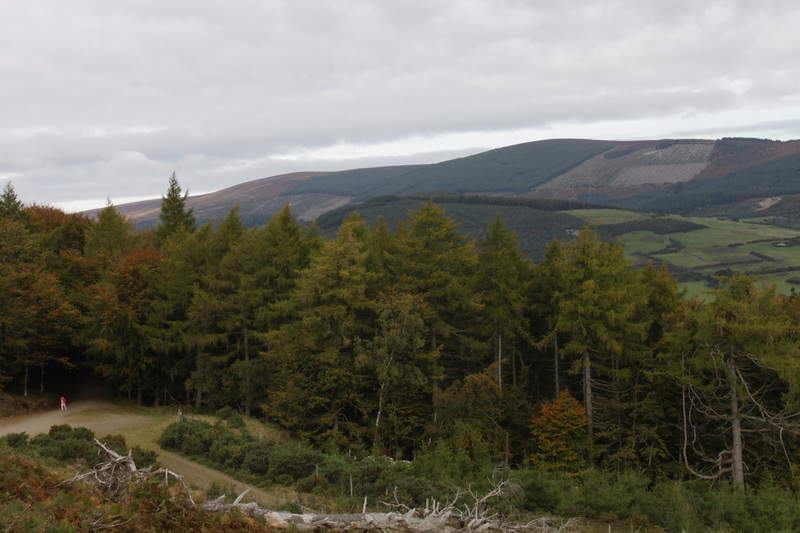 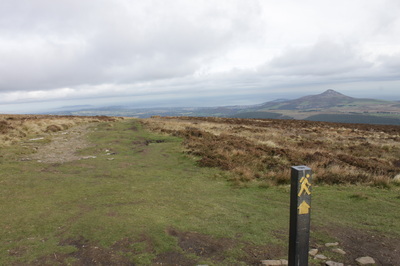 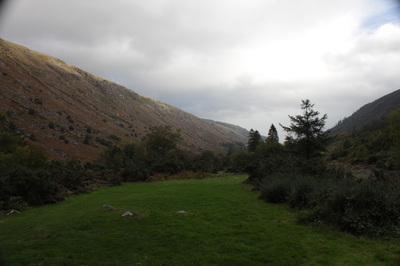 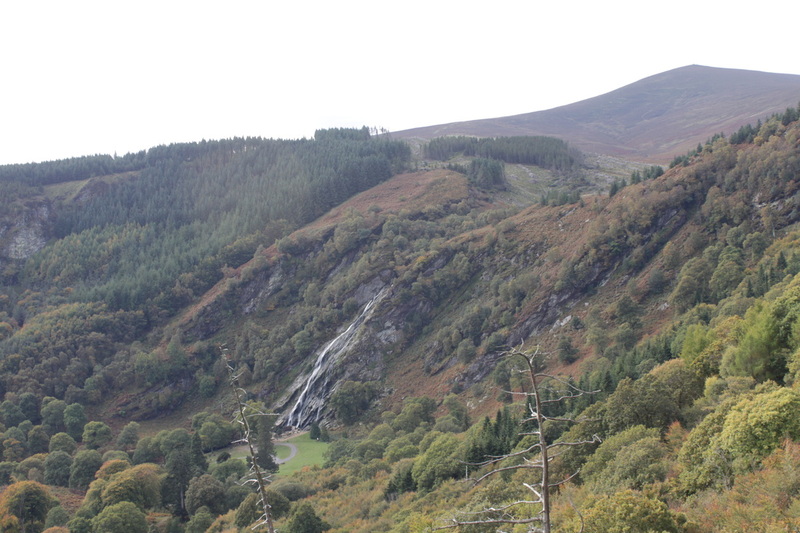 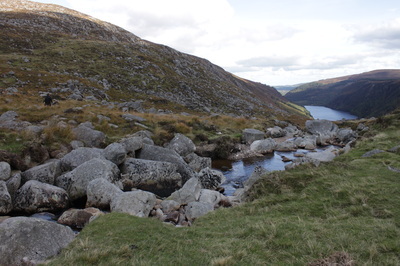 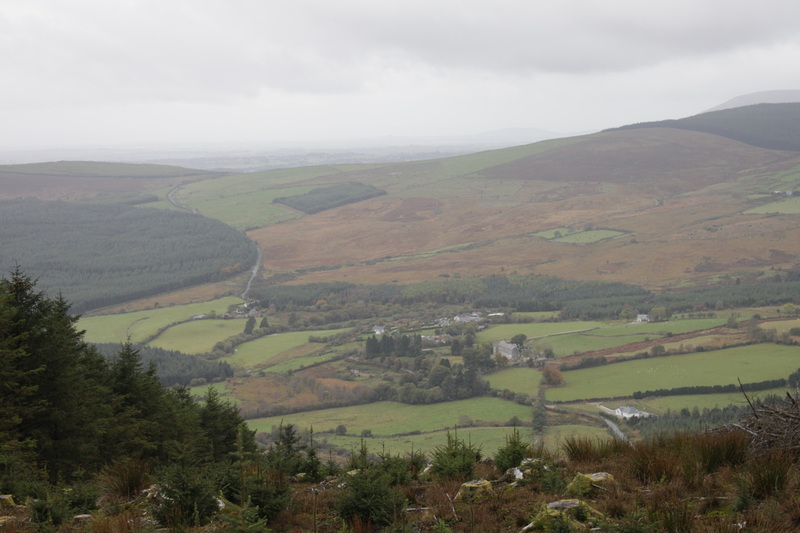 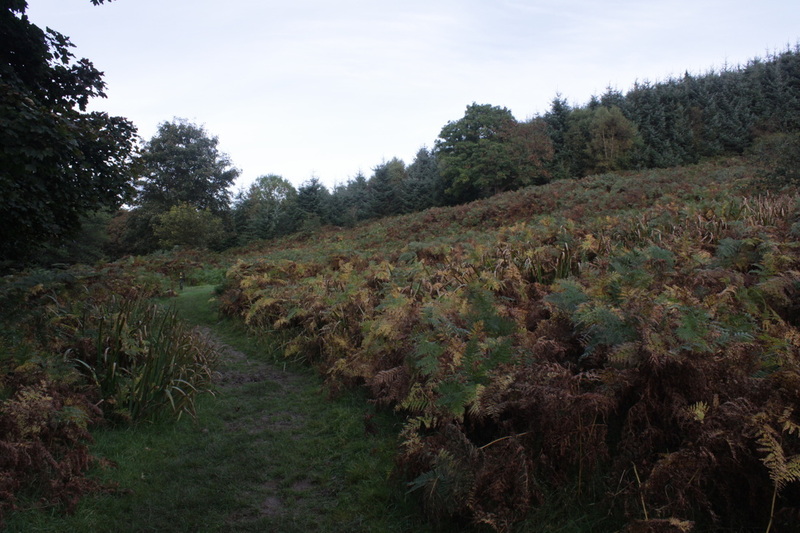 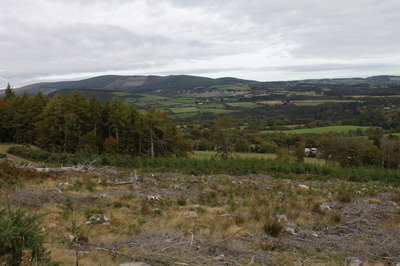 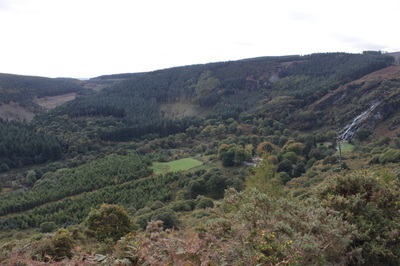 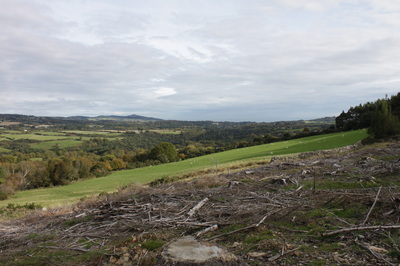 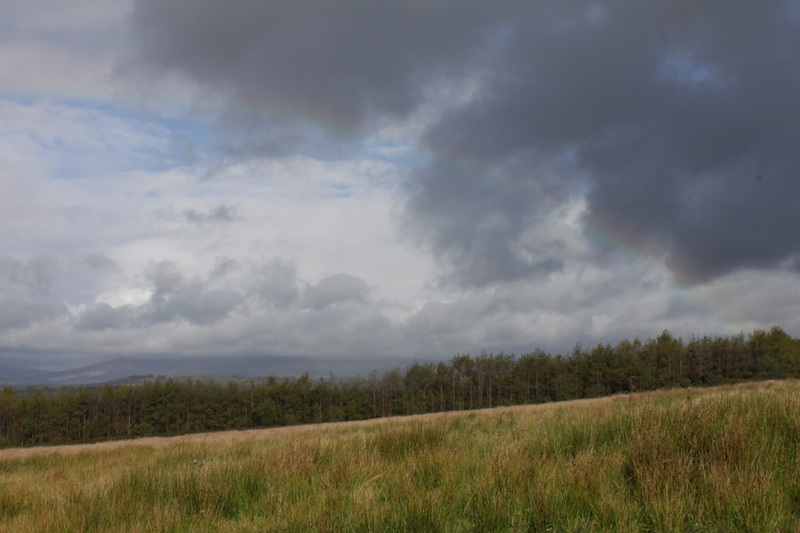 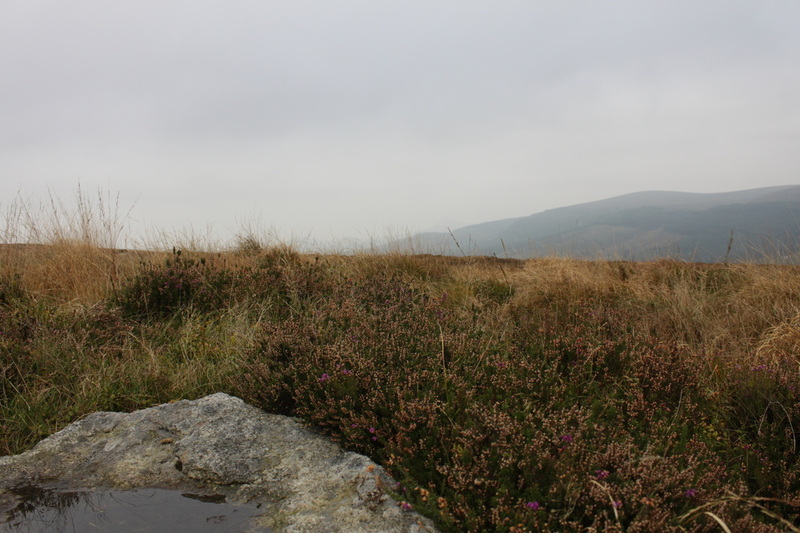 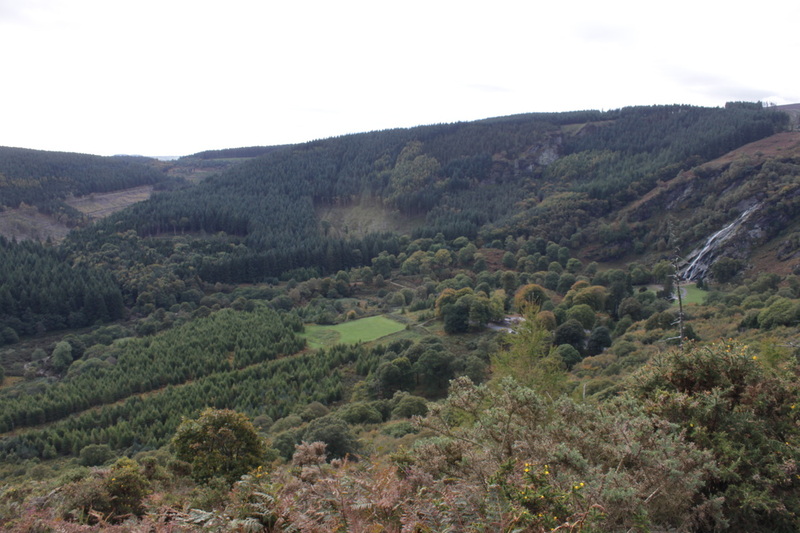 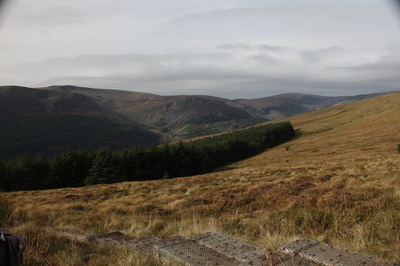 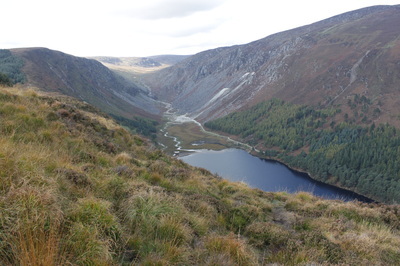 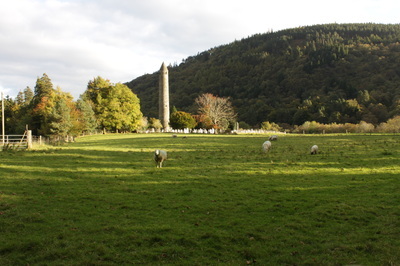 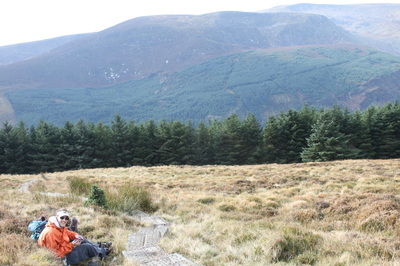 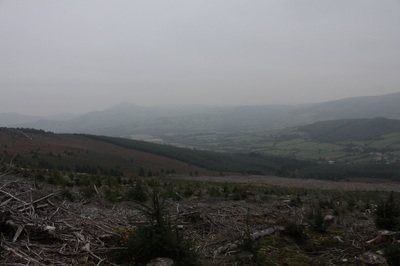 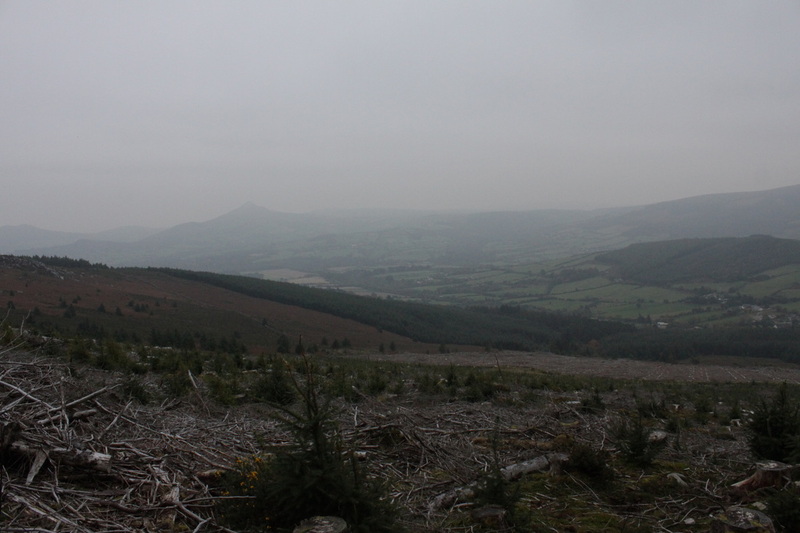 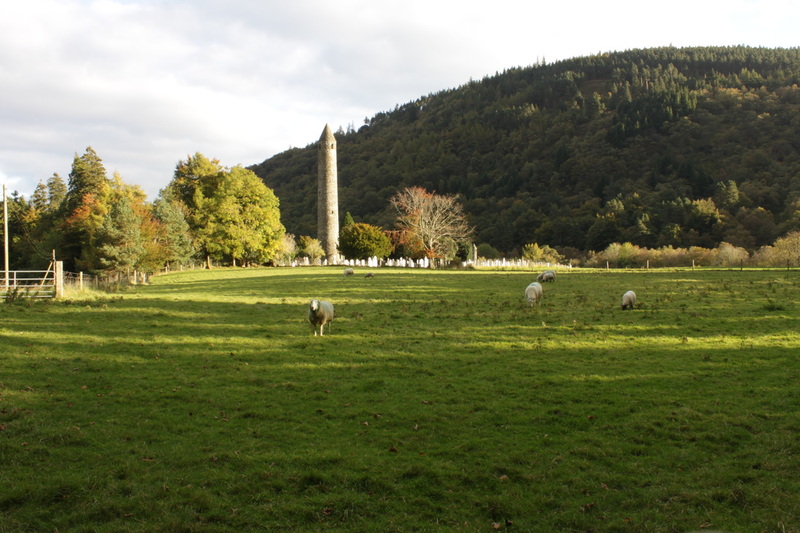 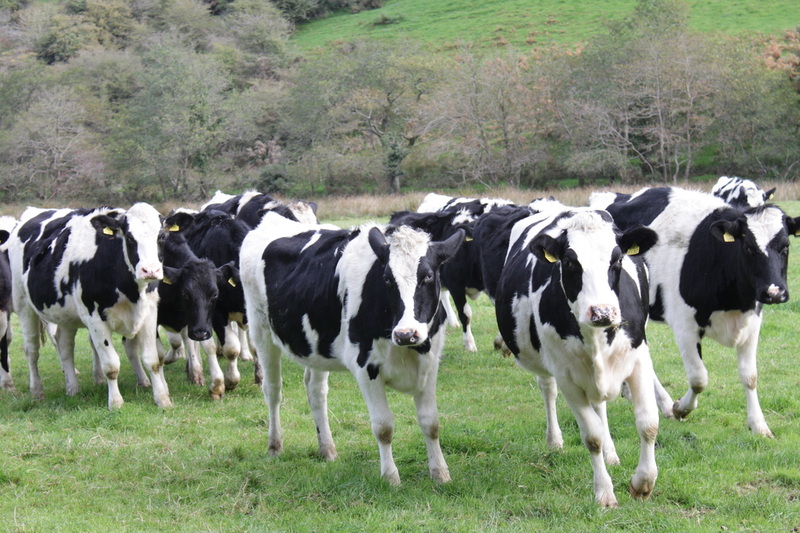 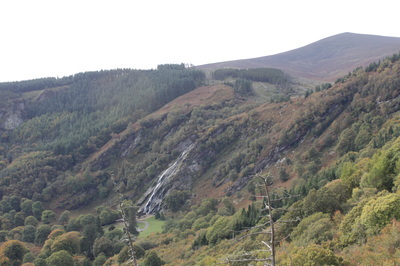 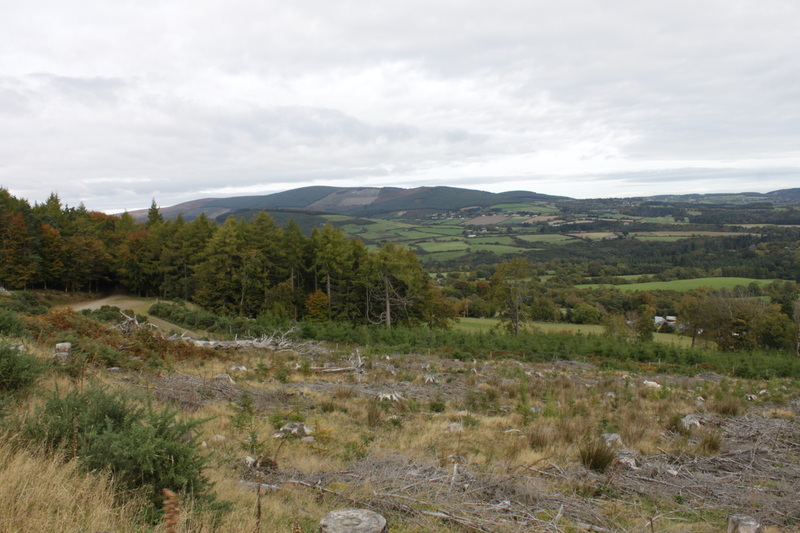 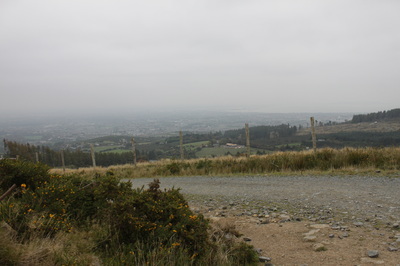 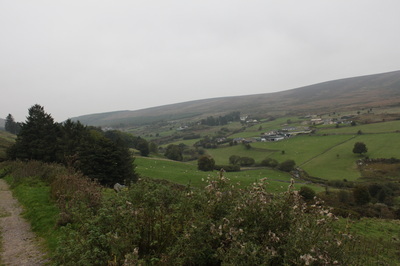 Dublin's Wicklow Way opened in 1980 as Ireland's first signed walking trail. 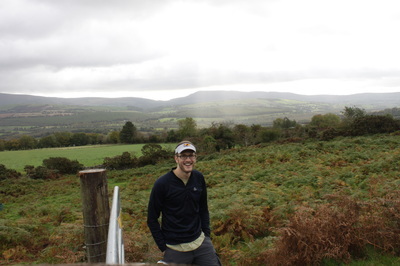 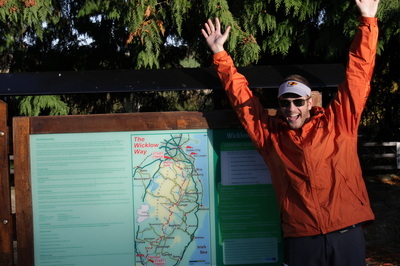 It was also my first true introduction to "thru-hiking", or hiking a trail along its entire length all in one trip. Though only 127 km's in length, this unique country and mountainside jaunt remains permanently embedded in my memory as much more than just a week-long trip. 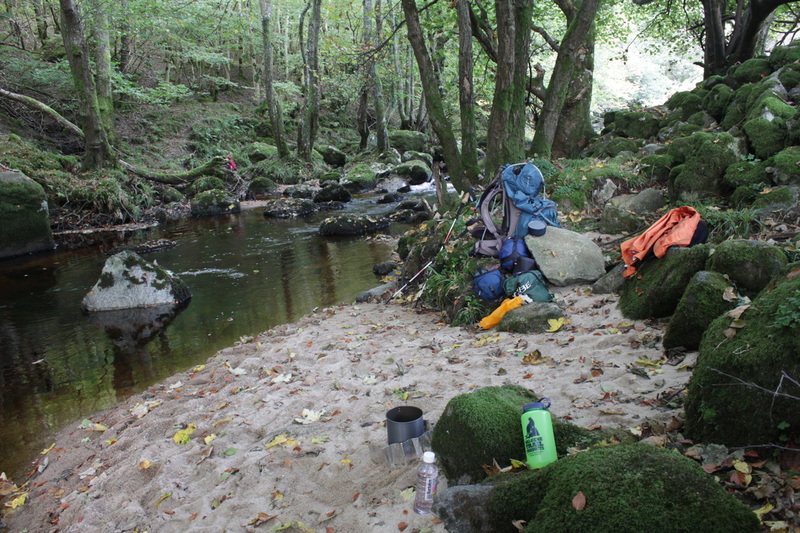 For me, this was the start of my excitement and peacefulness with sleeping outdoors. 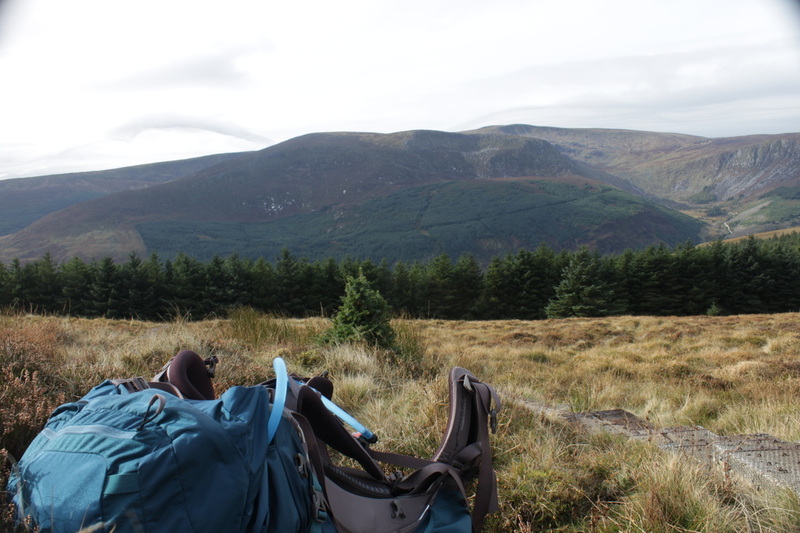 Though more of a "what-not-to-do" primer for beginning backpackers, I enjoyed the adventurous nature of this trip, despite the 55 lb pack on my back, and the heavy boots that blistered my feet. 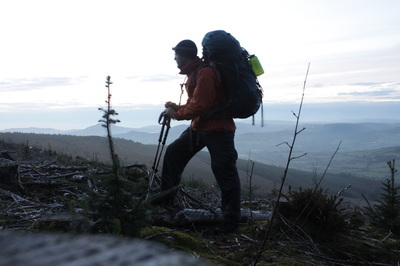 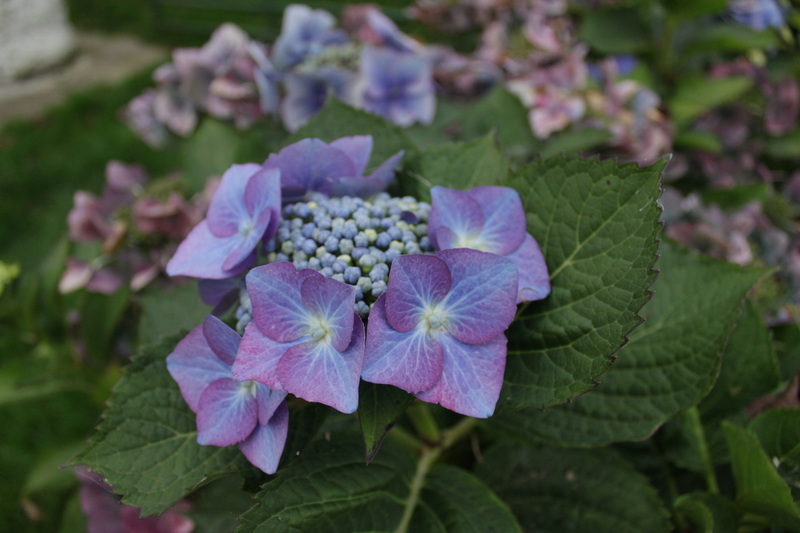 Finding how I best enjoy the outdoors has been a process many years in the making. 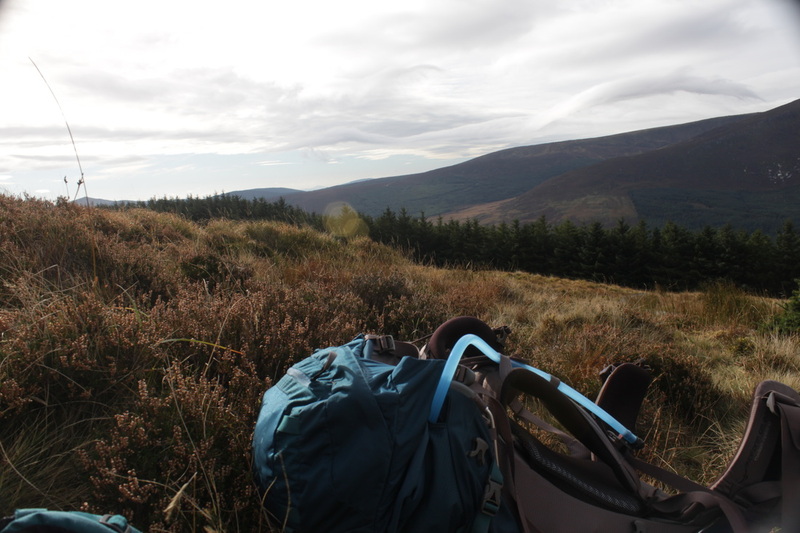 But, through many mistakes over the years, I've become much more versed in what it really means to tread lightly and be among nature. 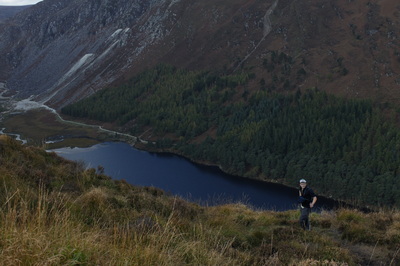 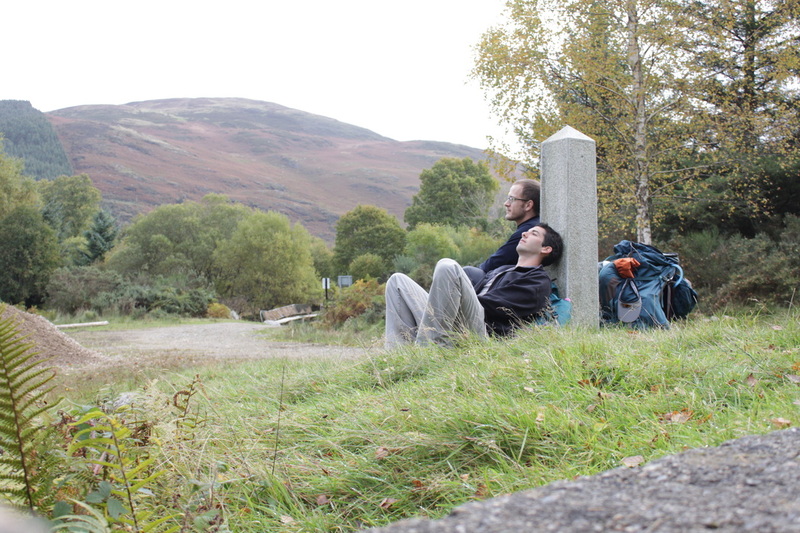 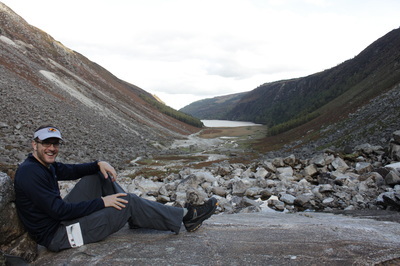 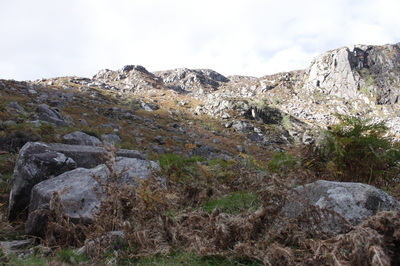 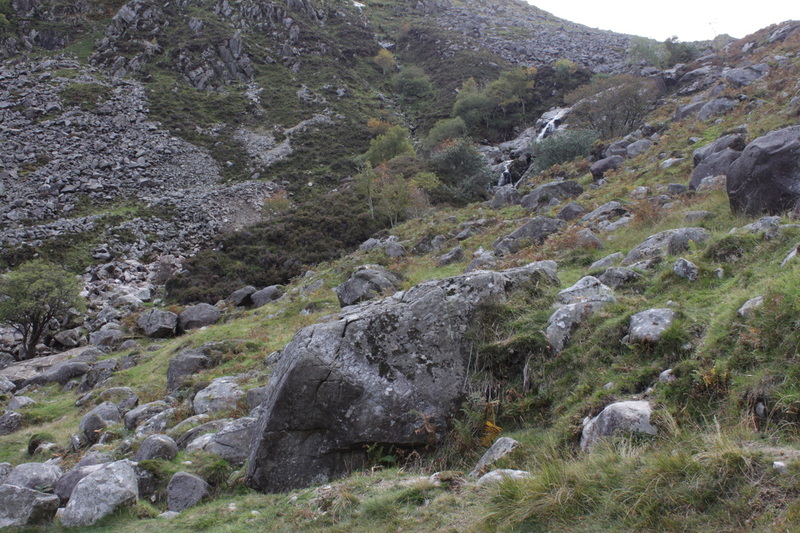 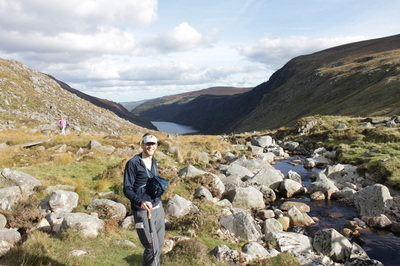 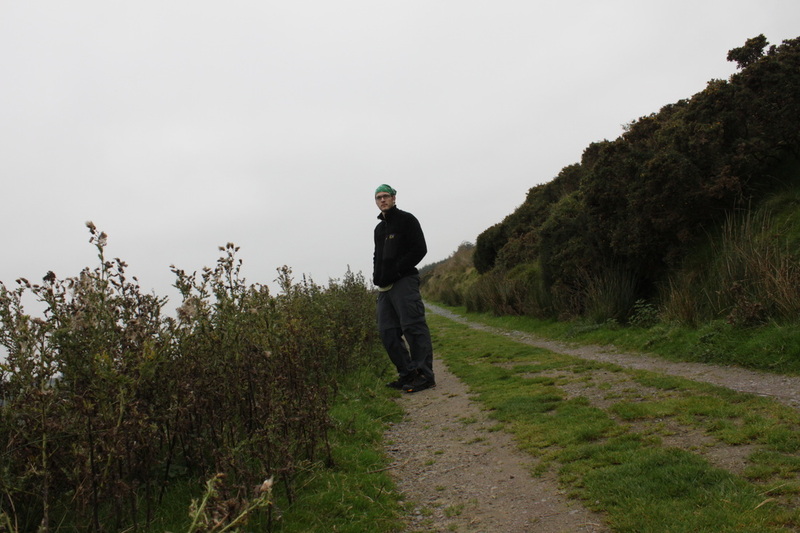 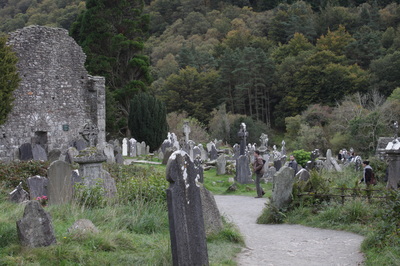 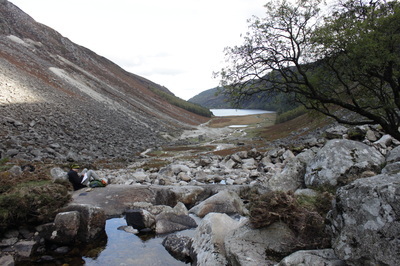 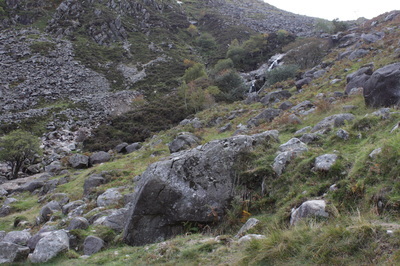 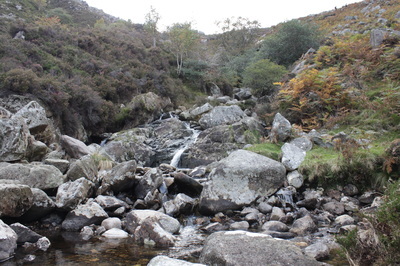 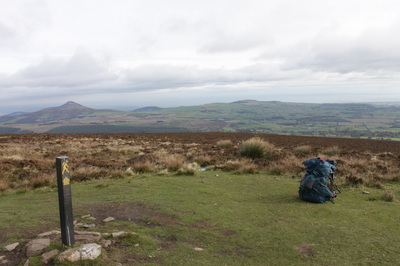 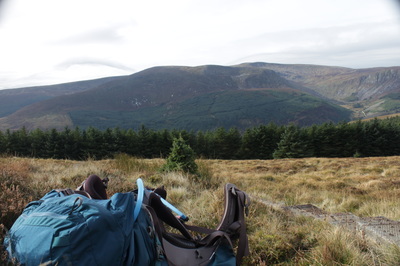 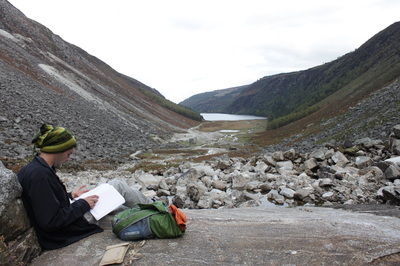 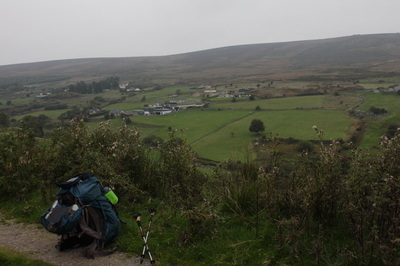 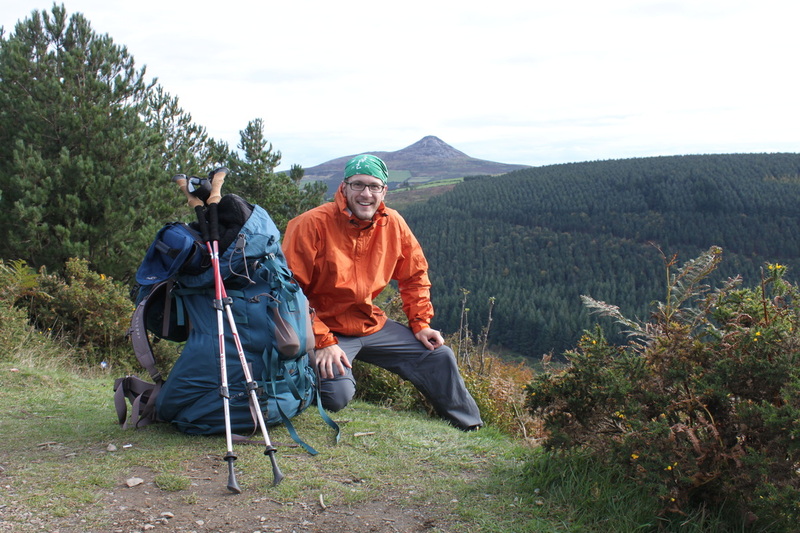 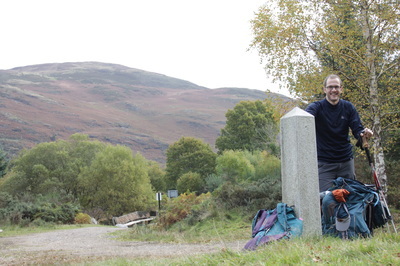 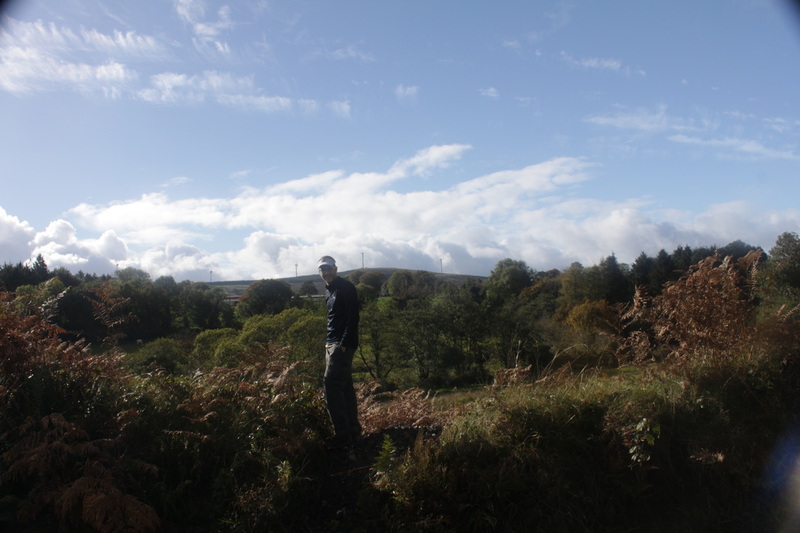 The guidebook I used was "The Wicklow Way" by Rucksack Readers. 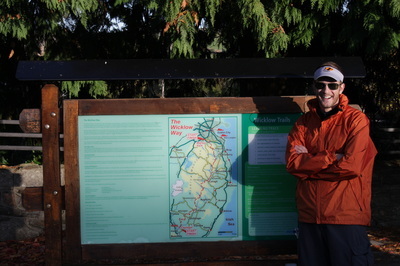 It had all the information I needed for the hike. Flying into Dublin on my first day, I took a bus directly from the airport to Marley Park, the Dublin terminus of the trail. 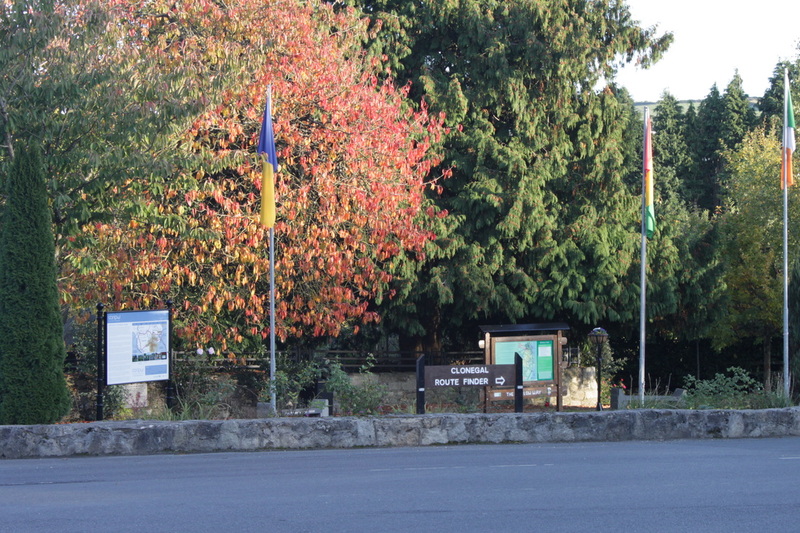 Starting out in a busy suburban park seemed to be a bit odd. 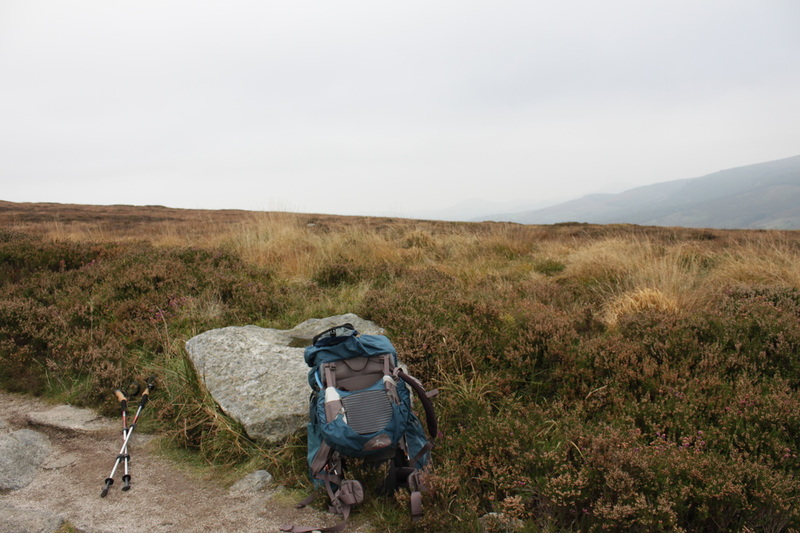 There I was with a massive backpack, and I was being passed by folks casually walking their dogs. 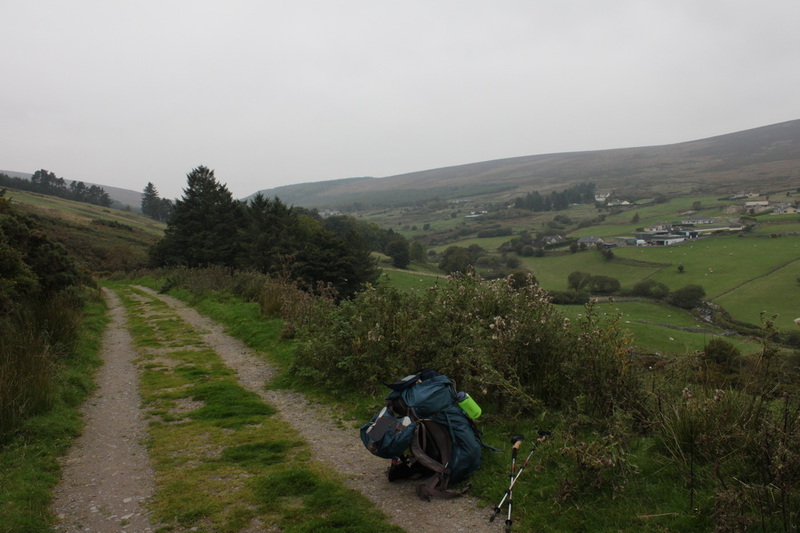 I quickly left the park environment, and hustling over a small bridge I headed out on the gravel roads for the hills beyond the city limits. 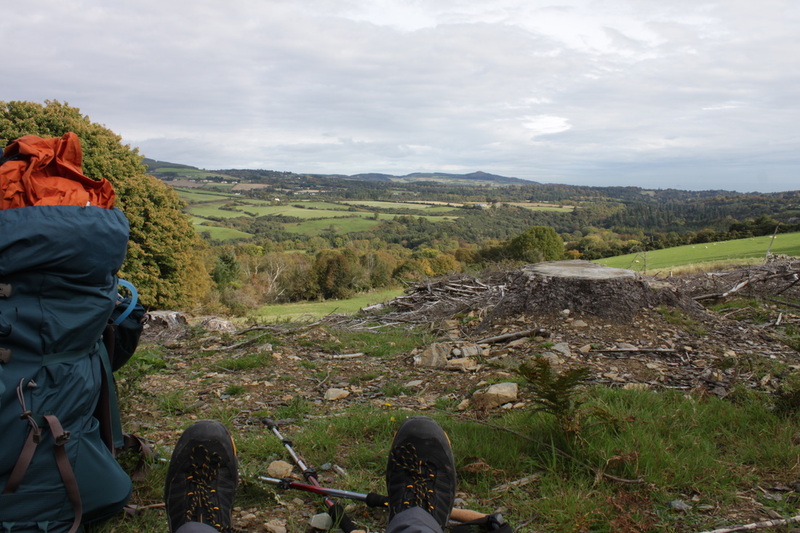 A good 10 miles or so brought me into a wooded section of trail - where I made my first camp for the night beneath a small copse of trees. 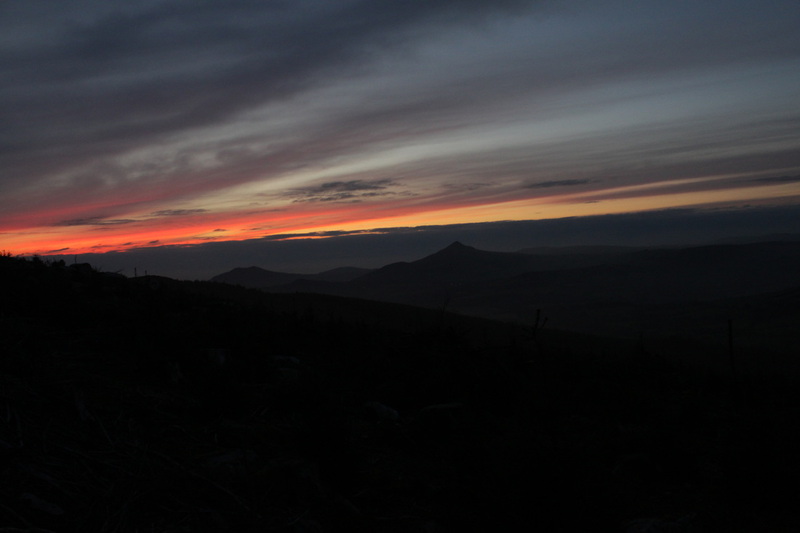 In all my online research - I failed to get the "memo" that it was open season on deer - and around midnight I was treated to the drunken sounds of hunters wandering around letting off the occasional shotgun round. 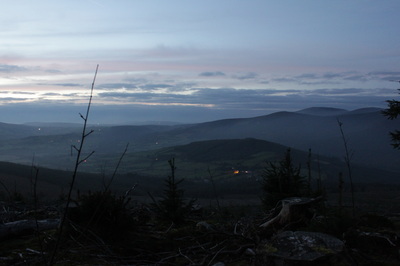 Needless to say I didn't sleep even the slightest bit. 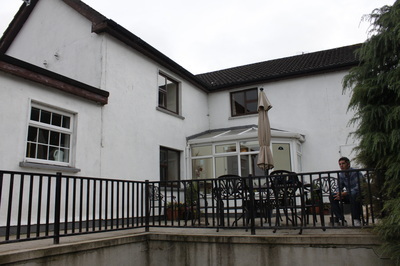 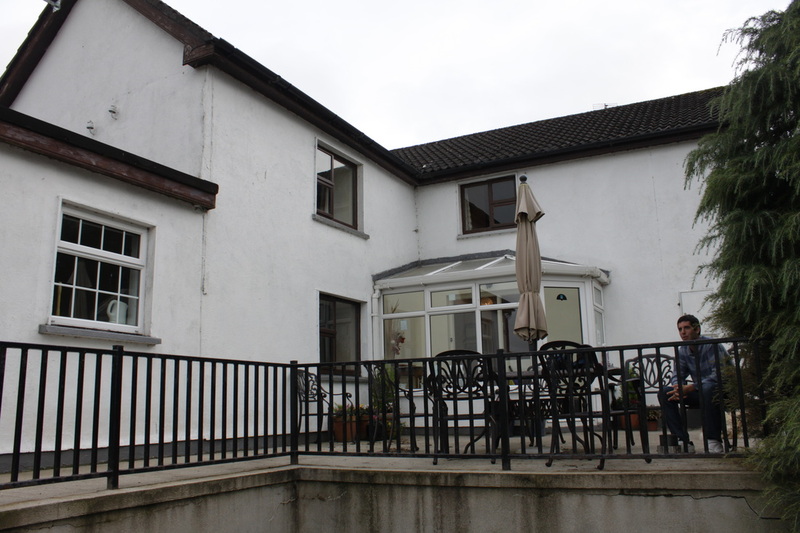 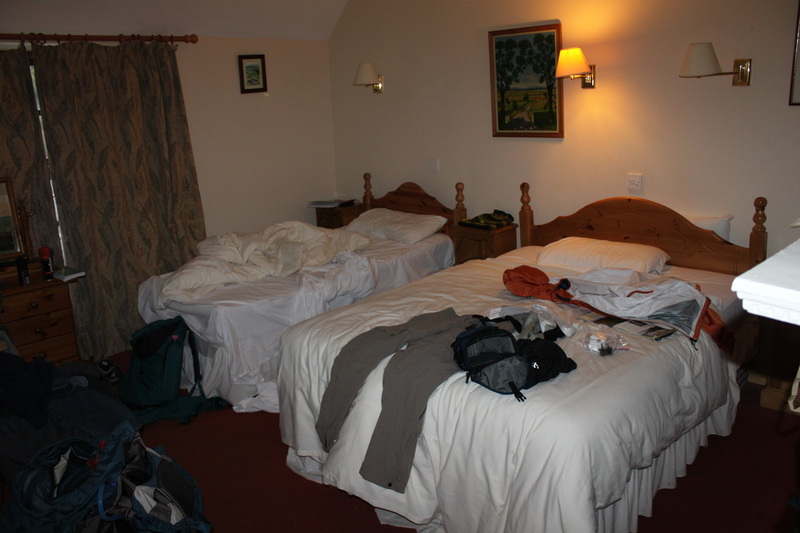 Every subsequent night was spent in a B&B -- so glad I carried all my camping gear all that was for nothing !! Live and learn - and this trip truly taught me about trying to hike everyday with a 45 lbs pack over mountains. 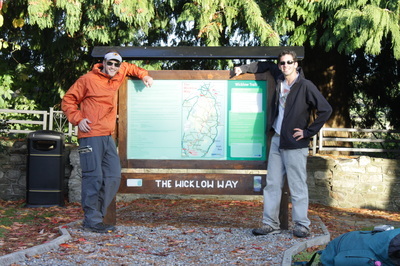 Without this massive failure of planning - and the physical pain of limping my way through this beautiful trip - I would likely have never researched as much as I did for my Appalachian Trail Thru-Hike. This was truly a pivotal outdoor experience for me - as my early primer on "what not to do" for lightweight hiking. 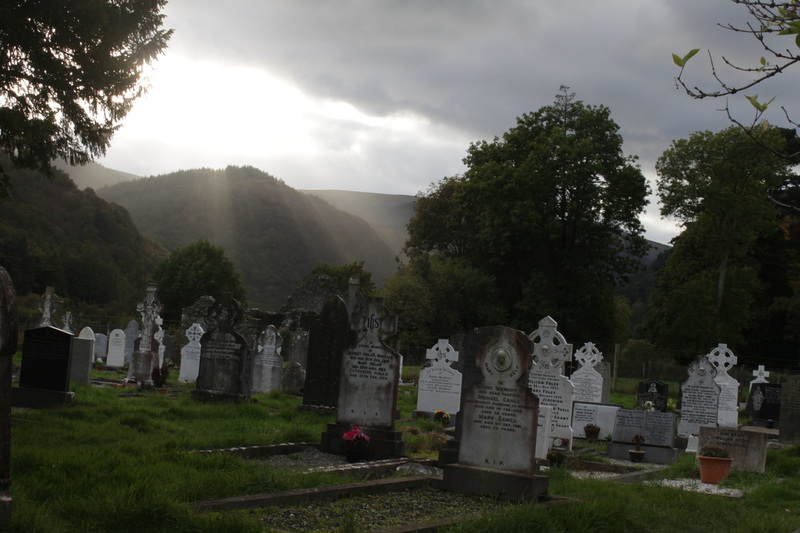 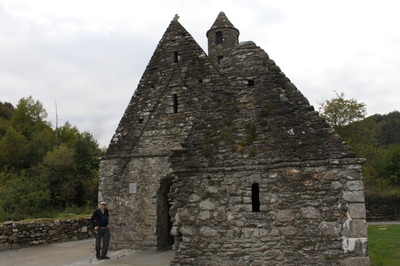 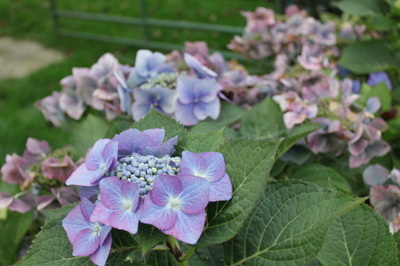 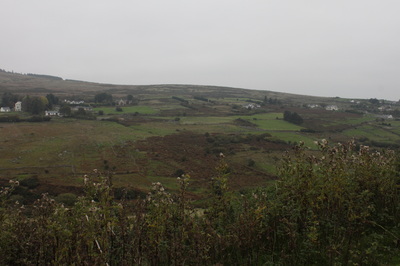 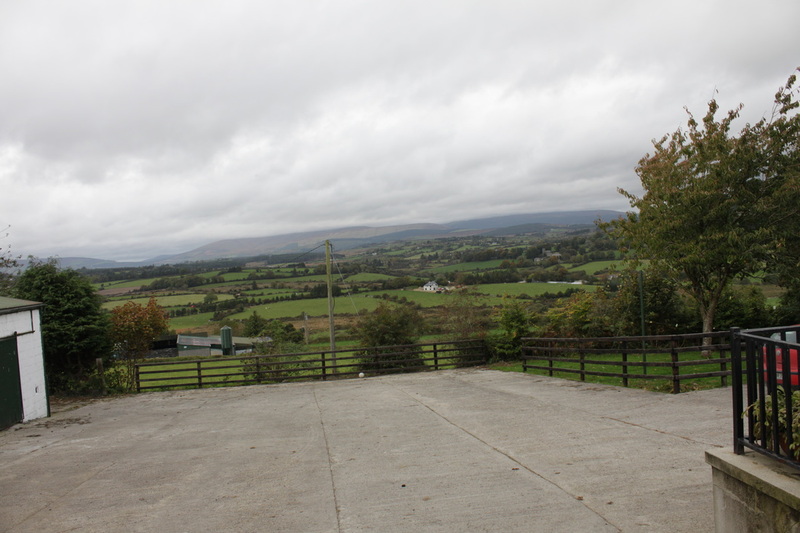 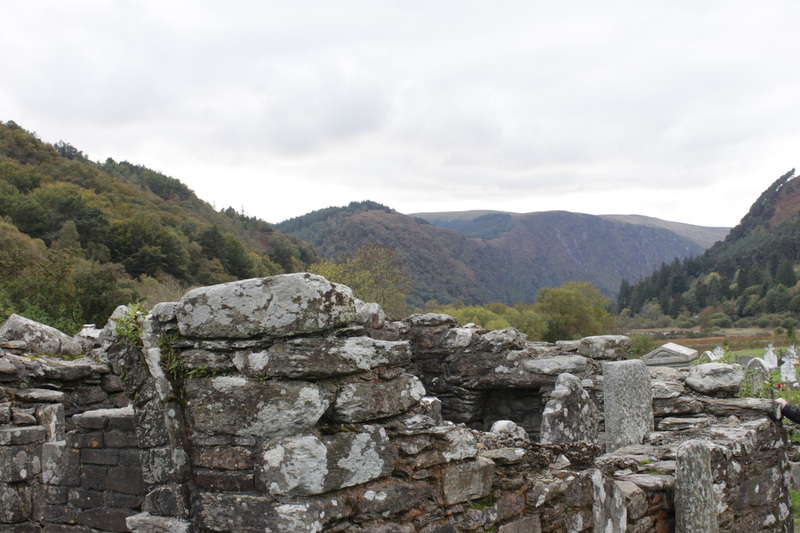 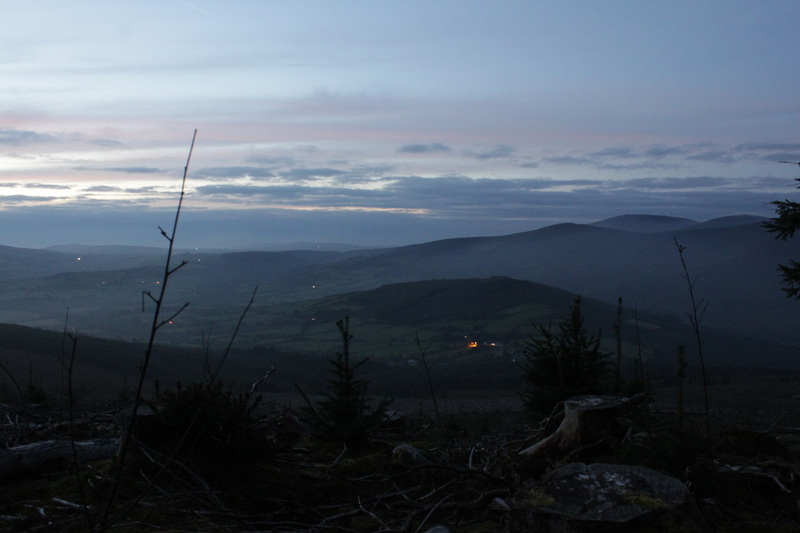 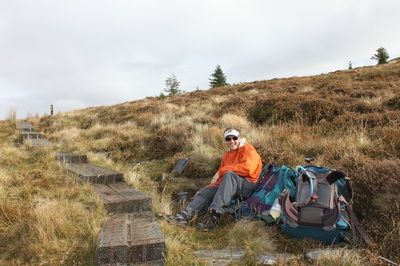 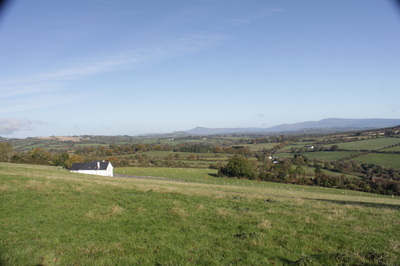 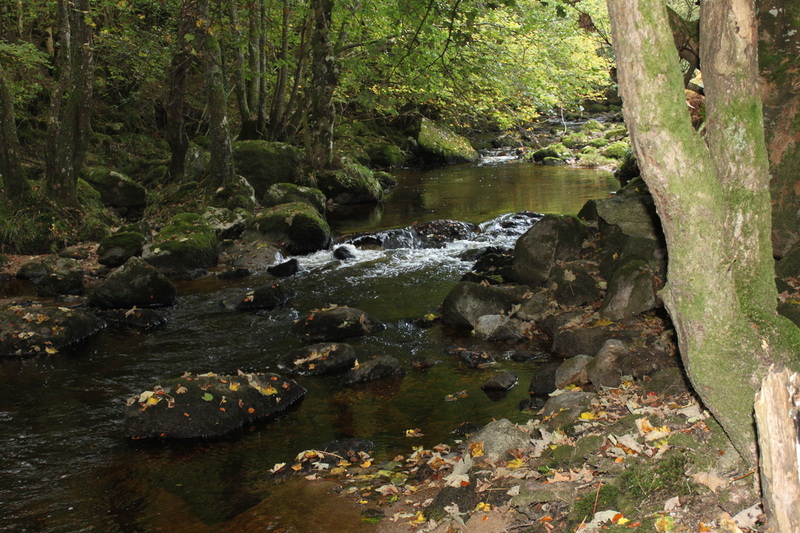 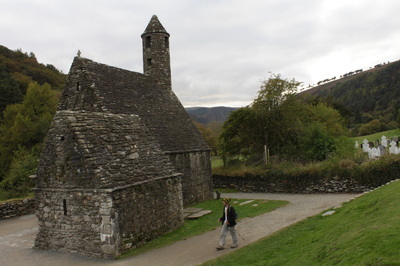 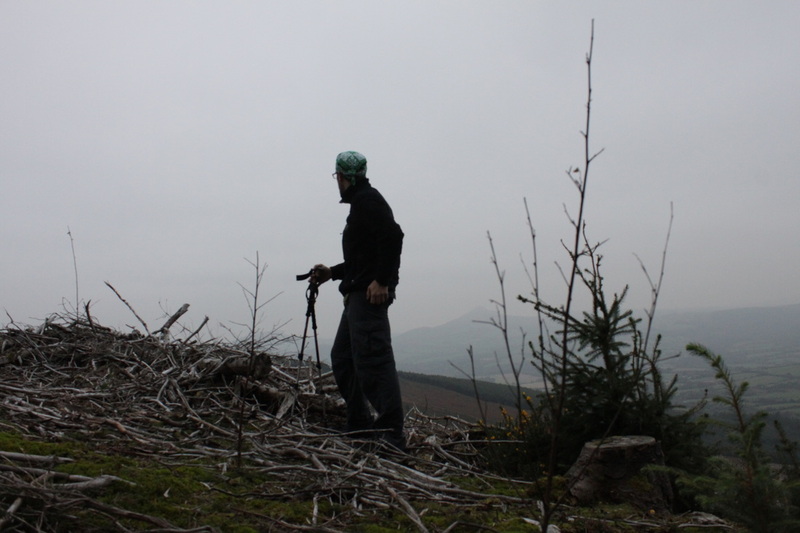 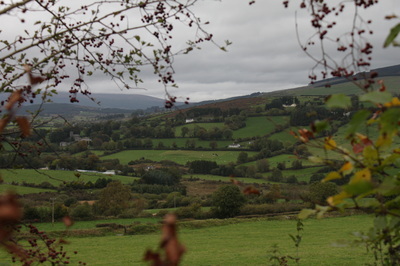 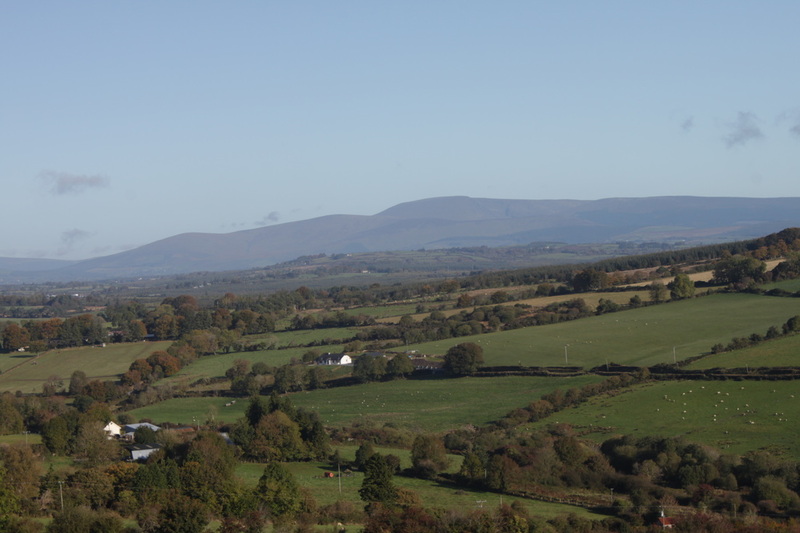 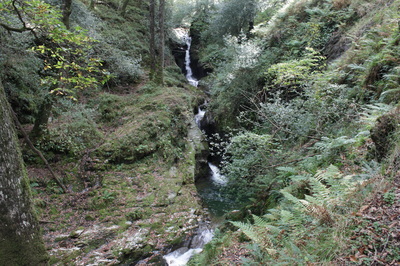 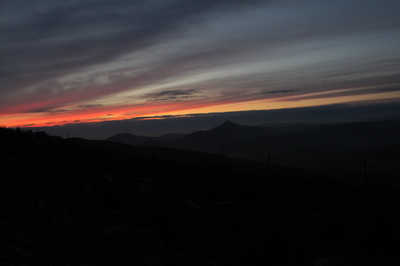 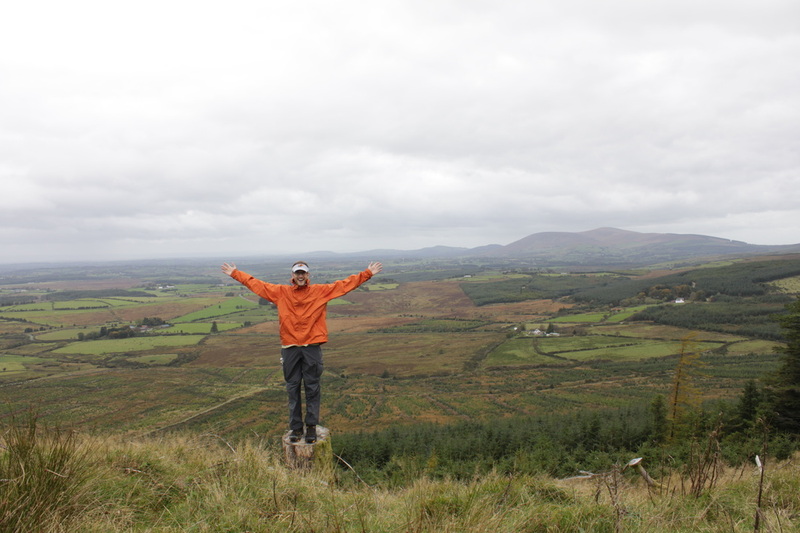 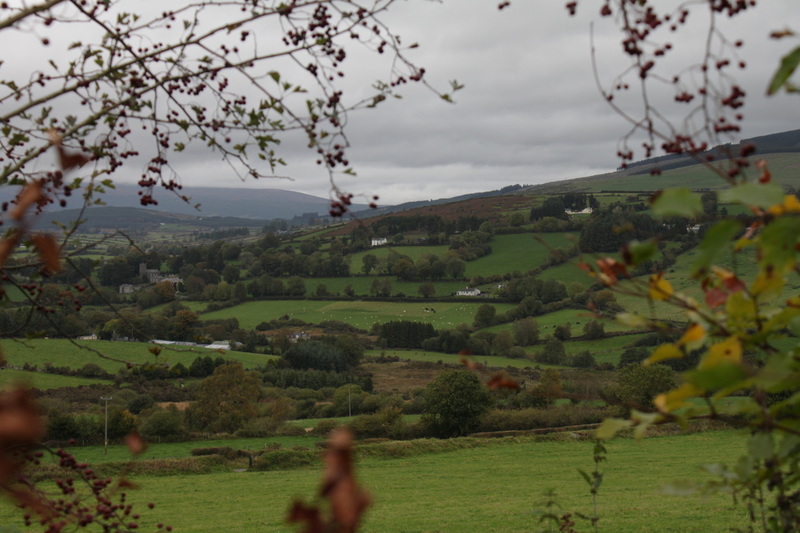 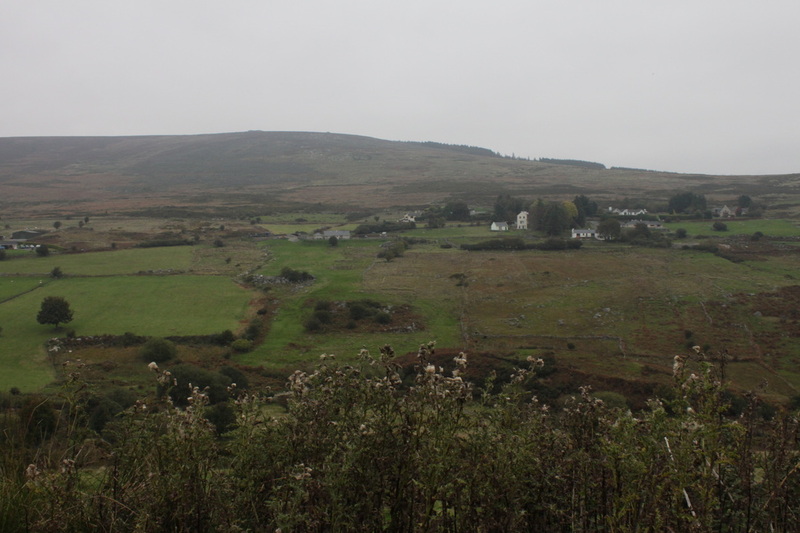 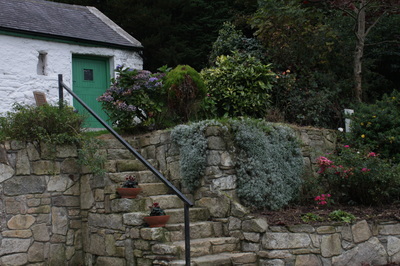 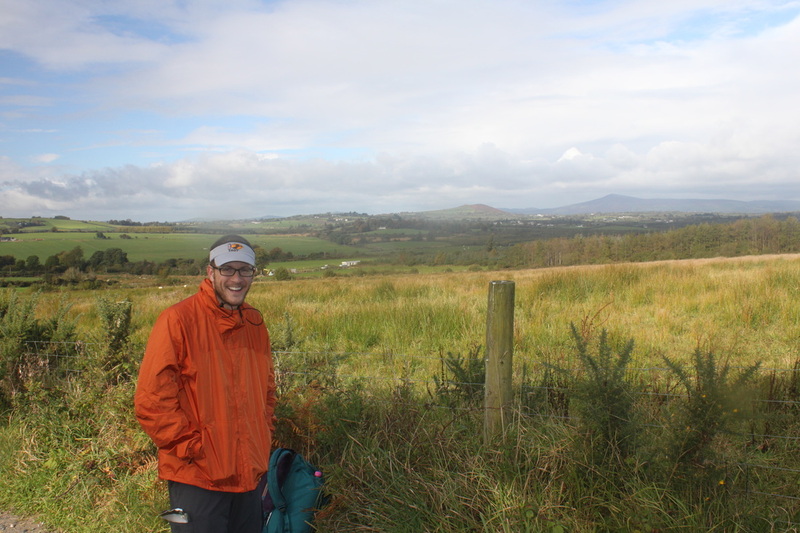 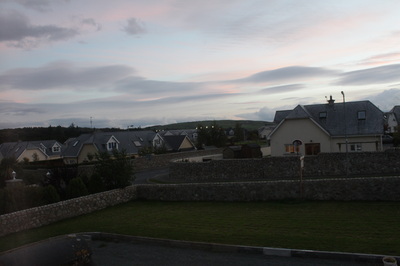 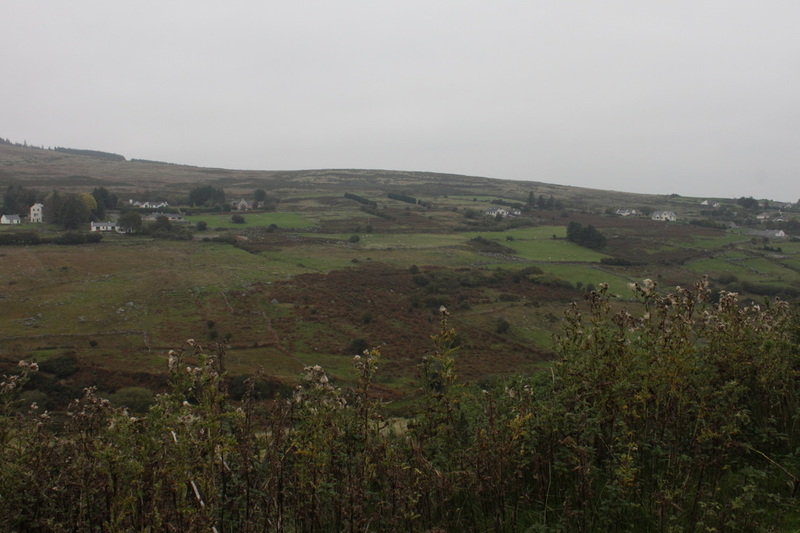 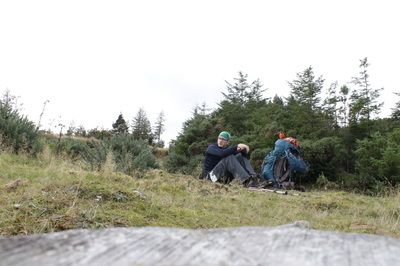 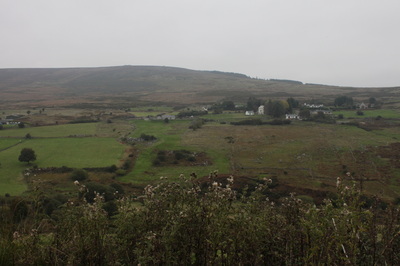 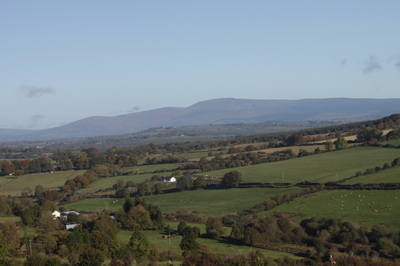 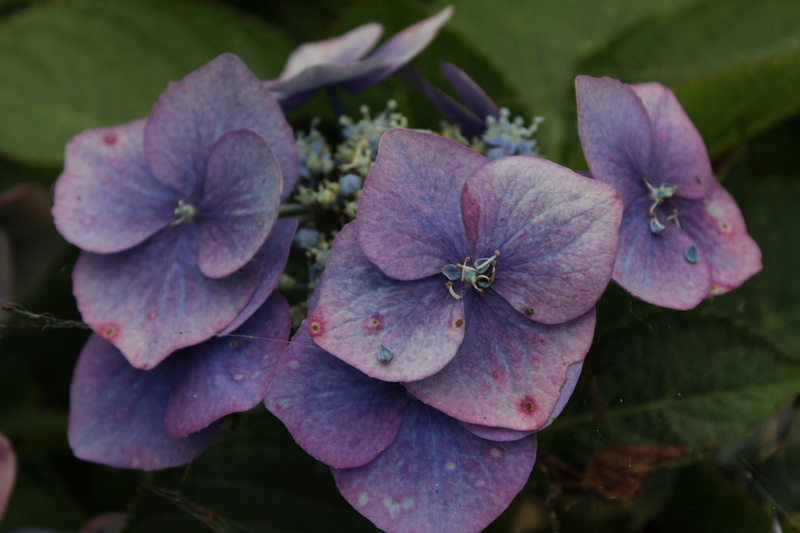 Rather than detail out my trip - here instead is the excellent website for this trip: http://www.wicklowway.com. Instead just enjoy the trip photos below - and know that this journey will always hold a very special place in my heart. I taught me that it is better to "Tread Lightly and Carry a Light Load". Carry a brain heavy with knowledge, a light pack carefully chosen, and a indefatiguable spirit along with a credit card - and all adventures will become open to you!